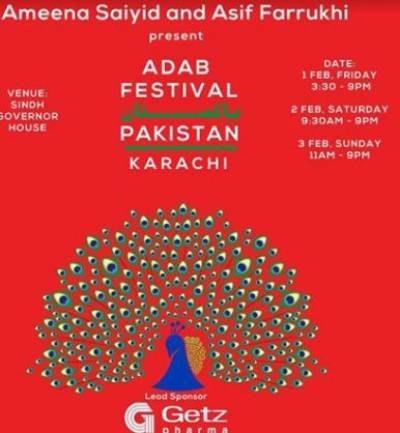 Karachi (Staff Report): Pakistan’s first three-day Adab Festival Pakistan has been started at the Sindh Governor’s House. The festival with an aim to divert youth’s interests from technology towards literature will continue till February 3. Over a hundred Pakistani and international authors, intellectuals, and media personalities will attend the festival.